New Badge of Justice Chestpiece, this doesn’t upgrade my poorest item, but does (I think) provide the biggest improvement overall. Epic Gem for new Chestpiece, 130g. Quite a lot, but on the other hand it was actually cheaper than the uncut epic gems and less than half what it would have cost a month ago, and only twice what an equivalent blue gem would have cost. Epic Gem prices have plummeted. Random underpriced JC design from the AH, I’m putting it back on in the hopes I’ll make 40g. I’m gradually emptying my bank of all those old gems I’ve been hoarding for no particular reason. I’m about half way through, they’re making a fair amountof gold, but quite paltry in comparison to the epic riding training. 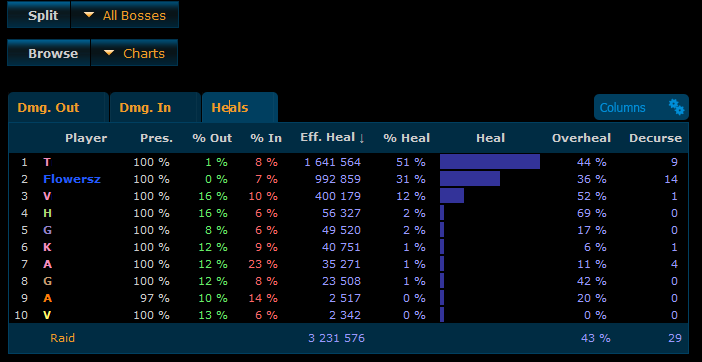 or perhaps that should be a 1½ healer run. Swapped my Violet Eye healing ring for the caster DPS ring, that’s 75g to change 17 spirit for 17 crit. God help me! I’m trying to work out a sensible macro for using Purge in raids……. What I want is to be able to spam the purge button without thinking! The biggest use will be in boss fights. I’m not overly bothered with purging each individual trash mob automatically. If we’re not in combat do nothing. That’s a right mouthful alright! combat – only do it if you’re in combat.